A Chicago socialite discovers a tropical city by the sea and everyone from land developers to the circus follows. When Bertha Honore Palmer came to Sarasota from Chicago in February of 1910 for her first look-see, this was a one-horse town, difficult to reach and practically unknown. The population of 840 souls had only eight years earlier voted to incorporate as a town, and their chosen motto, “To Grow and Prosper,” was a combination of hope and prayer. Livestock still wandered freely, sewage washed into Sarasota Bay and fishing and agriculture were the community’s economic mainstays. There were a few boarding houses downtown and the only real hotel, the DeSoto on Gulf Stream Avenue, was in such deplorable condition that Mrs. Palmer and her party had to be lodged at the Halton Sanitarium, which was spruced up for her stay. Palmer’s visit was a seminal event in the community’s history. She was one of the most famous women of her time; all at once, the international spotlight was cast upon Sarasota. Other residents from the Windy City followed her down to explore the area Palmer claimed to be so lovely. She described Sarasota Bay as more beautiful than the Bay of Naples. Owen Burns arrived shortly after Palmer. So impressed was he with the intrinsic tropical beauty of the area that he bought out the holdings of the Florida Mortgage and Investment Company. Along with other progressive members of the community, he saw that Sarasota’s future lay in its potential to attract snowbirds wanting to escape the frigid winters of the north. As the new owner of approximately three-fourths of the town, Burns immediately formed several companies—Burns Realty Company, Burns Dock and Commercial Company, Burns Transportation Company and the Burns Supply Company—and aligned with those who wanted to clean-up and modernize Sarasota. Harry Higel, called Sarasota’s indefatigable booster, began developing the north end of Sarasota Key as Siesta on the Gulf. Higel served five terms as a member of the town and city council and was mayor for three terms. The tropical beauty of Siesta as an attraction was not lost on him. Even before the first bridge was completed in 1917, he was busy at the task of transforming the island into a winter resort, a place he developed “along the lines that appeal to the well-to-do, who wish to leave the snows…and get down here for five or six months of continuous good weather.” He opened bathhouses for swimming, picnics and fishing. In 1915, his Higelhurst Hotel was constructed on Big Pass and ferried customers back and forth to the mainland. For the next dozen years, Sarasota moved along, growing at a steady, albeit unspectacular, pace. Those in Sarasota who leaned toward tourism and away from fishing and agriculture began lobbying to break away from Manatee County and form their own county government. They argued that while many tax dollars were going into the Manatee County coffers, not nearly enough were coming back down to help improve the schools and infrastructure in the southern part of the county, which included Sarasota, Osprey, Venice, Englewood, Myakka and Manasota. 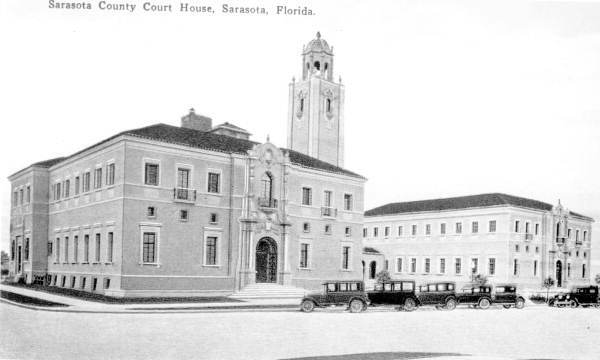 The split occurred in 1921 with the City of Sarasota beating out Venice as the site of the new county seat. Free to go their own way, the citizens of Sarasota were poised to capitalize on the frenetic Florida Land Boom, which was soon to explode. 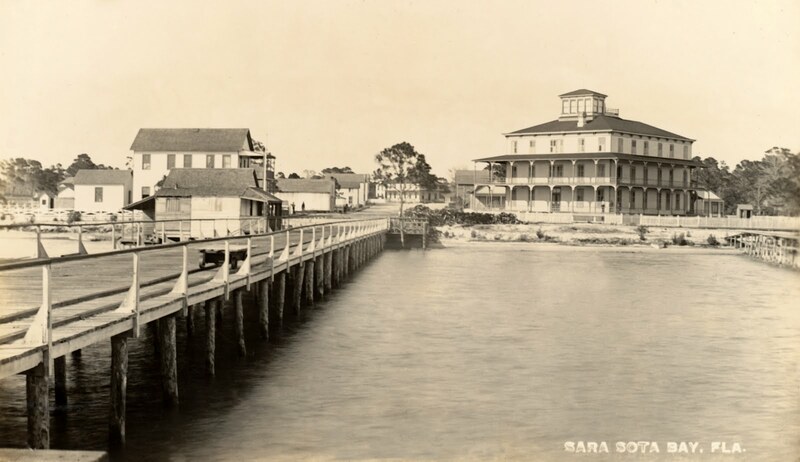 Along with all of Sarasota’s natural attributes—the “salubrious” climate, the gorgeous bays and Gulf, the tropical out-islands and creeks and rivers—Sarasota County had a wealth of visionary men and women who had the wherewithal to capitalize on the influx of newcomers pouring into the state during the real estate boom. Henry Ford’s Model T made travel for the masses possible and chambers of commerce throughout the state sought to lure as many of them as they could to their particular areas. Two of the major players during this free-wheeling era were John Ringling and his brother, Charles. John opened Lido Key to the public when he constructed the John Ringling Causeway, which stretched from Golden Gate Point. He later donated it to the city. He had grand plans for Lido, St. Armands and Longboat, including a Ritz-Carlton Hotel that was never completed. Ringling is credited with laying the foundation for our cultural heritage by building the John and Mable Ringling Museum. He also induced John J. McGraw to bring the New York Giants to Sarasota for spring training. Sarasota derived a wealth of much-needed publicity from the scribes who traveled with the major league teams and wrote glowing accounts about our Gulf Coast community. Ringling’s brother, Charles, concentrated his development efforts east of town with the Sarasota Terrace Hotel, the Court House Subdivision and some office buildings on Ringling Boulevard. Both of the Ringlings were very involved in the cultural and civic affairs of the community. 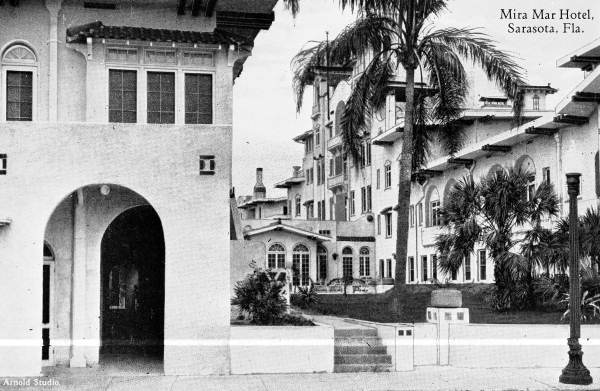 Burns’ ongoing efforts included the buildings at Herald Square, Burns Court Bungalows, the Burns Office, Ca d’Zan, the construction of the John Ringling Causeway and the El Vernona Hotel, the largest of the boom-era hostelries. Called the Aristocrat of Beauty, it vied with the Mira Mar Hotel for those seeking luxury accommodations. Burns’ dredging company also dredged Golden Gate Point and throughout Longboat and Lido keys in one of the biggest dredge and fill operations in the state. The boom was cooling by 1926; when the devastating hurricane in September of that year slammed through Miami, the party was over. During the next year, newcomers slowed to a trickle and the fast-talking, binder-boy salesmen, with their promises of fantastic wealth to be made in real estate, left town. It became increasingly difficult for local government to pay for even rudimentary improvements to the infrastructure. 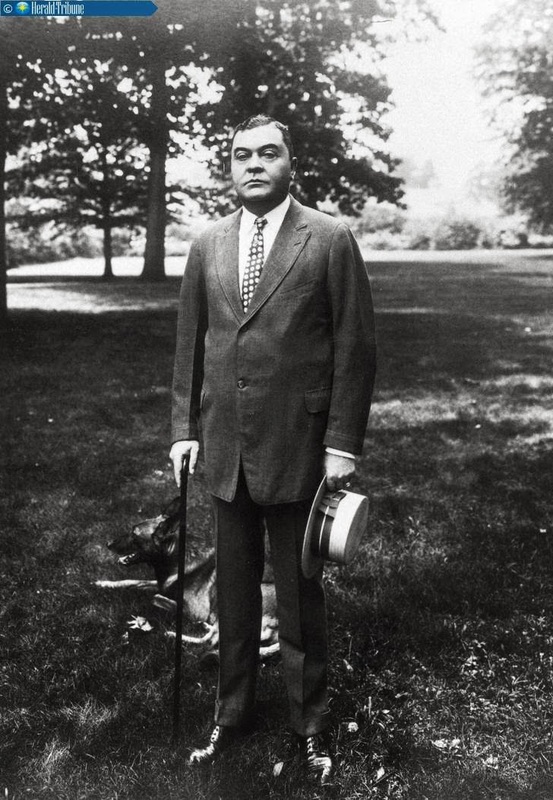 At the end of 1927, John Ringling (Charles died in 1926) decided it was prudent to move the winter headquarters of the Ringling Brothers and Barnum and Bailey Circus to Sarasota from Bridgeport, Connecticut. It gave the area a morale boost, offered needed jobs to the locals and became one of the most popular attractions in the state, drawing thousands to Sarasota each year. 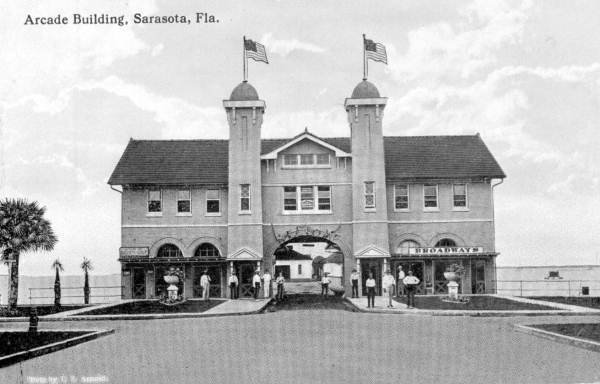 The circus also advertised Sarasota as it traveled around the country. By 1928, the town that had been electric with the excitement of transforming itself from an out-of-the-way village into a fabulous destination for the rich and famous, came to the realization that the bubble had burst. Downtown storefronts were abandoned, weeds grew in the streets, housing projects sat wanting. It was a rude preview of the Great Depression that was soon to follow. Illustrating the change of fortune, building permits in 1925 amounted to $4.5 million. In 1927, the number fell to $470,567, then to $83,596 in 1929 and only $51,880 in 1933. While the years of the Great Depression were bleak in Sarasota and the rest of the nation, there were a few bright spots. Several Works Progress Administration projects from the Federal Government helped the local economy and at the same time added to the unique qualities of Sarasota. Tourism, the lifeblood of Sarasota, was given a boost by two major WPA projects: Bayfront Park, which sat on land that had been slated for a boom-time hotel, became the site of a multi-purpose recreational area that included areas for a baseball diamond, horseshoe pitching, badmitten and lawn bowling, while the cavernous Municipal Auditorium became a focal point for out-of-towners and locals alike. Upon its completion, Mayor E.A. Smith called the park a dream come true, and the facility serves the community to this day. Another WPA project still in use is the post office building, which was dedicated by Postmaster James A. Farley and opened in 1934 on Orange Avenue. In order to bulk-up summer tourism, the Chamber of Commerce pushed for a lavish beachfront bathing pavilion. This would be the storied Lido Casino, which opened in 1940 and went on to become one of Sarasota’s most popular gathering places. Designed by Sarasota School of Architecture architect Ralph Twitchell, it offered dining, dancing and a cocktail lounge and was a regular gathering place for everything from senior proms to political rallies and beauty pageants. It was demolished in 1969. During the World War II years, Sarasota and Venice were both swarming with uniformed service personnel being trained for Army Air Corps duty at the Sarasota- Bradenton and Venice air bases. The Sarasota base accommodated nearly 3,500 men while Venice swelled to 6,000, a major presence in a town practically deserted after the real estate bust. Many of these servicemen fell in love with the area, which was then a slow-paced tropical paradise, and vowed to return one day. The Sarasota that came into its own during the 1029’s remained intact through the 1950s. But post-war prosperity signaled another growth spurt and changes were fast in coming. By the end of the 1950s,new housing developments – Kensington Park, South Gate, Greenbriar, Melody Heights, Leisure Lakes and numerous others – were being plotted throughout the county, while two new shopping centers, Ringling and South Gate, began taking business away from the downtown area, formerly the economic heart and soul of the entire county. The new developments differed from their 1920s predecessors in that they were not offered for sale as sure-fire money-making opportunities but, rather, as fine places to settle down and raise a family. A major event of the late 1950s was the re-routing of US 41 through Luke Wood Park and along the bayfront, cutting off the downtown from a major asset; Sarasota Bay. At nearly the same time, the second John Ringling Causeway was completed. Just as the announcement that Andrew McAnsh was going to build the Mira Mar Hotel had signaled that Sarasota was about to enter a new and exciting era, the announcement by Arthur Vining Davis’ Arvice Corporation that they were coming to Sarasota signaled another step forward. At the time, Bird Key was a small island populated only by the old Worcester Mansion, the dream retirement home of Davie and her husband, Thomas Worcester, later the home of Ida Ringling North. Arvida, which had been an important developer on the East Coast of Florida, had major plans for Bird Key and the other Ringling holdings on St. Armands, Lido and Longboat Key, which it had purchased for a reported $13.5 million. Arvida held an open meeting at the Municipal Auditorium packed with more than 1,000 real estate people who came to hear the company’s vision of Sarasota’s future. Bird Key would be dredged and expanded to make room for 511 home sites, 291 of which would be waterfront with prices ranging from $9,000 to $32,000. The gathering was headline news in the October 16, 1959, edition of the Sarasota Herald Tribune, which noted that the crowd was in a festive mood and Arvida’s proposals for Sarasota were well-received. Arvida followed the development of Bird Key with luxurious homes and condominiums on Longboat Key, helping to lay the foundation for today’s modern Sarasota. In so doing, it was said, the Roaring ‘20s dreams of John Ringling were fulfilled by Arthur Vining Davis. William H. Whitaker, the first white settler of Sarasota, was born Aug. 1, 1821. He brought the first cattle, oranges, guava, and a semblance of settlement to the frontier that later became the arts nexus of Florida. Whitaker was very much akin to a character in a Mark Twain novel. He ran away from home at age 14 with only the clothes on his back and the contents of his father’s pants pockets: small cash and a gold watch. His departure took him from hometown rural Savannah, Ga., to the city’s bustling port. The wiry youth left within an hour on a trading schooner bound for Key West. Whitaker’s whereabouts for a while were uncertain, but he eventually alighted in St. Marks, Fla., as a fisher where half-brother Hamlin Valentine Snell found him and persuaded him to “get a little schooling” in Tallahassee. Whitaker put up with it for two years. The Seminole War was raging in 1838 and the adventure tugged at young Bill Whitaker. He spent four years in some form of military fighting the Indians. When the war ended he went back to Tallahassee to talk to Snell. Snell agreed to not only front the money for pioneer Whitaker, but also agreed to tag along. Snell’s law practice was in shambles, he had many friends who had settled along the Manatee River, and he didn’t have much else to do. Snell, by the way, is a story of his own. Before his death he held positions as president of the Florida Senate, speaker of the Florida House of Representative, and served as Tampa’s eighth mayor. Whitaker and Snell set sail in late November 1842 from St. Marks southbound along the Gulf Coast, stopped to visit the Bradens, Gambles, Wyatts, and others at the Manatee River, then continued south. From Grismer comes this account. “During the afternoon of December 14, while sailing south through Sarasota Bay, they sighted a place on the mainland where there were high yellow bluffs. “Letting down sail, they drifted into the mouth of a small, palm-fringed bayou a few hundred yards north of the bluff. A short way up the bayou, on the east bank, they found a pool of fresh water, fed by crystal water pouring forth out of rocks in a steady stream. “A quarter mile up the coast they met a Spanish fisherman named Alzartie living in a crude palmetto shack. Several Cuban fisherman, then squatting on Longboat Key, told them they thought his section unsurpassed anywhere on the West Coast. Yellow Bluffs is at 14th Street off the Tamiami Trail. The bayou just north is today named after Whitaker. Whitaker eventually acquired more than 193 acres of Bayfront property from 19th through 33rd Street, about one-quarter of it purchased at $1.25 per acre. Whitaker and Snell towed cedar logs across the bay from the dense forests on Longboat Key and built a sturdy log cabin with a detached kitchen. Snell left his “vacation” after six months to return to Tallahassee. Whitaker first made money salting mullet and selling the fish to Cuban traders. Price: a penny a fish. He eventually took in a partner with his first American neighbor, Joseph Woodruff, in 1844. His production quadrupled, and in 1847 he went to Dade City and purchased 10 cows and calves. The “47” brand ended up in pretty much every cattleman’s ranch in South Florida. 1885 - The Florida Mortgage and Investment Company, a Scottish land syndicate, plots Sara Sota and promotes the area in Great Britain as a viable community offering an easy life. 1885 – The Scots colony arrives in December and, to their distress, finds only a wilderness area awaiting them. They hang on for a few months and disband Sarasota. 1887 - John Hamilton Gillespie is sent by the Florida Mortgage and Investment Company to revive the effort. They have 50,000 acres of land to dispose of. Gillespie begins a building program and constructs the De Soto hotel at the foot of lower Main Street. A short-lived boom ensues. 1899 – Cornelius Van Santvoord Wilson and his wife Rose open the Sarasota Times newspaper. When Cornelius dies in 1910, Rose runs the paper until she sells it in 1923. Mrs. Wilson was a community leader, and as editor of Sarasota’s only newspaper, she kept her reader informed of the transformation taking place in the electoral system as women were allowed to vote for the first time. 1902 – 53 citizens vote to incorporate Sarasota with John Hamilton Gillespie as the first mayor. The town motto is "May Sarasota Prosper." 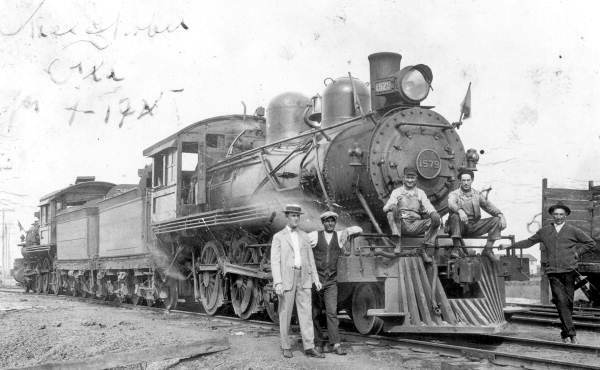 1903 - The Seaboard Airline Railroad (known at the time as the United States and West Indies Railroad and Steamship Company) lays tracks into Sarasota, making the more accessible. 1907 - Harry Higel along with Captain Louis Roberts and E.M. Arbogast, begin to develop the north end of Sarasota Key as Siesta on the Gulf. 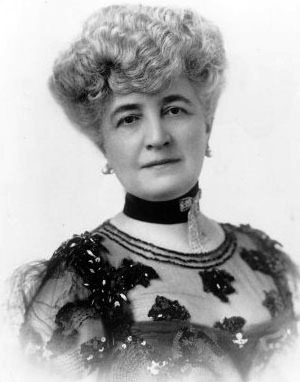 1910 - Bertha Honore Palmer, Chicago socialite and renowned woman of the world, comes to Sarasota and shines the international spotlight on this unknown fishing/agriculture village of less than 1,000. She invests heavily in the area and opens a Chicago connection as many prominent men from the Windy City follow her down to invest in the area. 1910 - Owen Burns, then living in Chicago, comes to Sarasota and buys the remaining holdings of the Florida Mortgage and Investment Company, approximately 75% of today’s city limits, for $35,000. He will align himself with the progressive members of the community and help guide Sarasota toward becoming a winter destination of choice for northern snowbirds. He is Sarasota's first major developer. 1912 - John Ringling buys his first Sarasota home near Shell Beach. He and his brother Charles will be major players during Sarasota’s boom-time growth period with John concentrating on Lido, St. Armands and Longboat Keys while Charles concentrates his development efforts east of town. 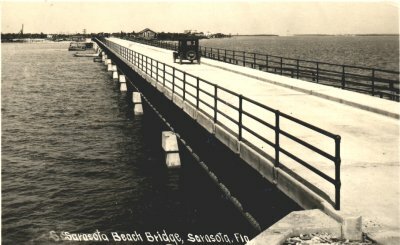 1917 - Siesta Key bridge opens, the first bridge to one of Sarasota’s barrier islands. 1921 – Tired of seeing its tax money going north with little coming back in the way of public improvements, Sarasota breaks away from Manatee County to form Sarasota County. 1922 – Ground broken for the Mira Mar Apartments on Palm Avenue. Chicago capitalist Andrew McAnsh constructed the building in just 60 days of around-the-clock work. The Mira Mar Hotel was hailed as “The Gem of the West Coast.” Finally Sarasota suitable accommodations for wealthy snowbirds. 1923 - Sarasota's first airport opens on Oriente Avenue, today’s North Beneva Road. 1924 – Baseball manager John J. McGraw brings Spring Training to Sarasota with the arrival of the mighty New York Giants, one of the era’s power house teams. The Atlantic Coastline Railway comes to Sarasota. 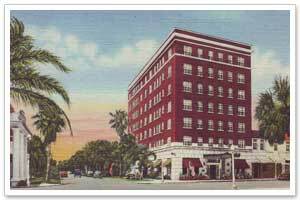 1925 - The Hotel Sarasota opens on Main Street and Palm Avenue to become Sarasota's first skyscraper. It builder, W.H. Pipcorn of Milwaukee becomes the first person to pay $1,000 for a front foot of downtown property. During the year, Sarasota is booming as new banks, hotels, housing developments, churches, schools and businesses of all types open. 1926 - The John Ringling Causeway opens with much fanfare, as does the Edwards Theatre, today's Sarasota Opera House. A hurricane sweeps through Miami with devastating force in September, signaling the end of the already slowing Florida real estate boom. 1927 - John Ringling moves the winter headquarters of the Ringling Brothers and Barnum and Bailey Circus to Sarasota, a real morale boost for the city. Golf great Bobby Jones cuts the ribbon for new municipal golf course, named in his honor. The Sarasota County Court House and the new Sarasota High School are completed. 1931 - The John and Mable Ringling Junior College and School of Arts opens in the old Bay Haven Hotel. 1937 - The Municipal Auditorium, a Works Progress Administration project, is completed. Mayor E.A. Smith calls it a dream come true. 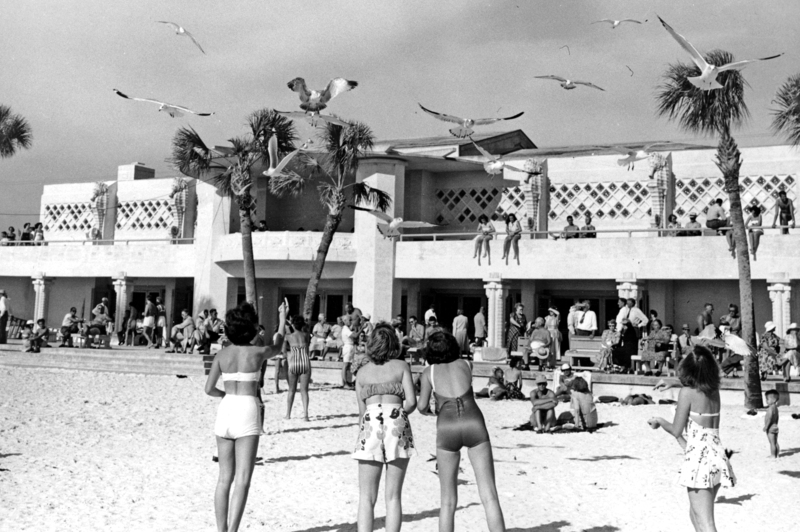 1940 – The storied Lido Casino opens on Lido Beach. A mainstay for beachgoers until is was demolished in 1969. 1941 – Sarasota-Bradenton Airport opens. During the war it will be used as a training base for the Army Air Corps; Longboat Key becomes a site for bombing practice. 1941 – The Myakka River State Park, Florida’s largest land state park, is officially dedicated. It is opened to the public in 1942. 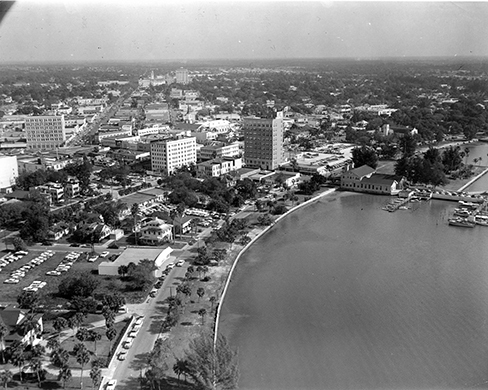 1958 – US 41 is re-routed along the bayfront, isolating downtown from the Sarasota Bay. The second John Ringling Causeway is completed. 1959 - Arvida announces grandiose plans for Bird Key and Longboat Key. 1967 - The Hover Arcade building at the foot of lower Main Street, the site of the city hall for many years, is demolished. 1970 - Van Wezel Performing Arts Hall opens with Fiddler on the Purple Roof. 1974 - Marie Selby Botanical Gardens opens to the public.